Iran’s Deputy Foreign Minister for Political Affairs says the Belgian capital is to host two major meetings on Iran on Monday in defiance of the US pressures. In a post on his Twitter account, Seyyed Abbas Araqchi wrote despite US sanctions and pressures, the third EU-Iran High-Level Seminar on ‘International Nuclear Cooperation’ will be held in the Belgian capital. The city will also host the Fourth Round of Political Dialogue between Iran and the European Union, he added. 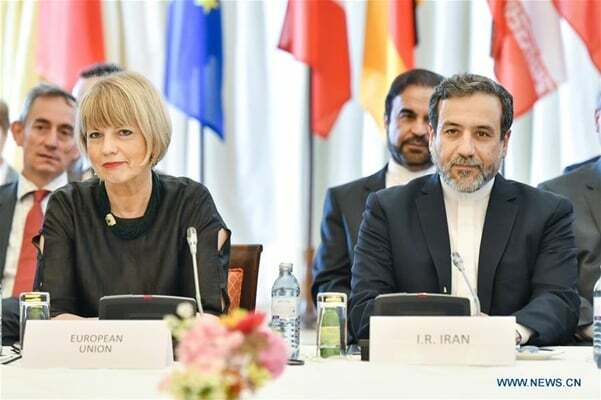 Araqchi wrote that Iran’s nuclear chief Ali Akbar Salehi will represent Iran at the nuclear seminar and he himself would exchange thoughts with EU Deputy Foreign Policy Chief Helga Schmidt at the fourth round of political talks. Salehi headed to Brussels on Sunday to attend the third EU-Iran High-Level Seminar on ‘International Nuclear Cooperation’ on November 26 and 27. The meetings come as the US has threatened to sanction the European firms working with Tehran.